Students learn about figurative language that authors use to make their writing more entertaining and to enhance the images readers make in their minds as they read. They identify and write their own similes, metaphors, personification, and imagery. Finally, they write their own text that includes examples of figurative language. In this experience, students learn about figurative language that authors use to make their writing more entertaining and to enhance the images readers make in their minds as they read. They identify and write their own similes, metaphors, personification, and imagery. Finally, they write their own text that includes examples of figurative language. Recognize an author's use of figurative language: simile, metaphor, personification, and imagery. Two-three class periods. You may choose to have students read the texts at home before beginning the experience. Students only read excerpts from “To Build a Fire” and “The Laurence Boy” (Chapter 3 of Little Women) for the experience. You may choose to have them read the entire text. 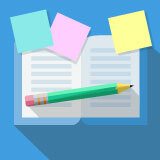 In this experience, you will identify various types of figurative language including similes, metaphors, personification, and imagery, and explain why authors use it in their writing. You will also write your own text using figurative language. Have you ever heard the saying, “Busy as a bee”? The saying is not actually about hard-working bees. It means that someone is very active and energetic. This is an example of figurative language. Specifically, it is both a simile and an idiom. Similes compare two things that are not alike. For example, you may have heard that something is light as a feather. Let’s see how well you know some other similes. Ask students to share their answers with the class. If necessary, provide the correct answers to the similes. Ask students if they think that the similes add meaning to the adjective. For example, does “as sick as a dog” tell them how sick someone is?